The news that reigning World Champion Jenson Button will be joining 2008 World Champion Lewis Hamilton at Mclaren to form an all-British superteam is one of many interesting prospects we can anticipate this season, a year which leaves us with very many intriguing unanswered questions. It's been more than 20 years since a team last fielded two champions alongside each other. That team was Mclaren, when it ran Ayrton Senna and Alain Prost together for a second year in 1989, after the Brazilian had wrapped up his first title. Perhaps it was the sheer fractiousness of relations between the two champions that year which has subsequently dissuaded any other team from following suit. Certainly, Martin Whitmarsh will be hoping that history does not repeat itself for the team in 2010. It's tempting to draw parallels. I've always seen a hint of Senna in Hamilton's all-out attacking approach, and I don't think that's just my brain playing tricks on me because Lewis has copied Ayrton's distinctive yellow helmet. And as for Jenson, his smooth, unhurried style, his deceptive pace, well, that's more than a little reminiscent of a certain French driver.... In the end, though, for reasons I'll come to later, I don't think Whitmarsh et al should lose too much sleep. As a pairing, Button and Hamilton just doesn't strike me as having quite the same combustible potential as Senna and Prost did. When Senna was hired by Mclaren in 1988 to partner their double World Champion, Prost, though, he had yet to win the first of his three titles, and was merely a promising youngster who had won six races for a Lotus team which no longer looked to be quite what it once was. You have to go back another few years to 1986 to find the last time a World Champion was hired to drive alongside another. Again, the team in question was Mclaren, and the driver line-up featured the reigning world champion, Prost, and 1982 title-winner Keke Rosberg, seen by some as the outright fastest driver in the world at the time. As it turned out, the Finn proved to be no match for Prost, who snuck between the warring Williams boys, Piquet and Mansell, to win the 1986 title in a car which was not really the equal of the Williams Honda. Rosberg, by contrast, failed even to win a race, never at home with the understeery MP4/2B. No, the last time that a team made a conscious choice to hire two World Champions was all the way back in 1967, when Colin Chapman signed 1962 World Champion Graham Hill to drive alongside Lotus stalwart and double champion Jim Clark. And it's this pairing, which to me, most closely echoes Mclaren's 2009 line-up. Hamilton in the role of the supremely naturally gifted Clark, an integral part of the Mclaren team as Lotus had been built around Clark. Each seen by many as the great talent of their age. And Button? A solid, quick racing driver, comfortable in the spotlight, but whose ultimate ability, whose fitness to sit alongside the sport's real all-time greats, remains a matter of debate. The parallels with Graham Hill, whom many did not see as being in quite the same league as his Scottish contemporaries, Stewart and Clark, are certainly there. Hill and Clark didn't fall out as Prost and Senna did and perhaps in part it was because it was a more relaxed age, but I can't help thinking that fundamentally, they got on because there was no doubt as to who was quicker. And I don't necessarily see the pairing of Button and Hamilton being any different. When Clark and Hill teamed up in 1967, it was Clark who decisively got the upper hand, winning four Grands Prix that year, while Hill managed but a solitary second place. That doesn't tell the whole picture, though, for the Lotus 49 was a fast but very fragile machine, and Hill got the lion's share of their considerable mechanical misfortune. Nonetheless, while he went on to win the 1968 title, few saw him as being truly a match for Clark. So will Button get his comeuppance at Mclaren? Maybe. If I was a betting man, I'd certainly be putting my stake on Hamilton to win that intra-team battle. But history doesn't always repeat itself, doesn't always tell the same story. There is, I think, still a chance that Button could up-end the form book and establish himself as Mclaren's lead driver. One thing that could just tilt the odds his way is the ban on refueling. All bar Rubens Barrichello and Michael Schumacher will have to learn for the first time what an F1 car with 180kgs of fuel onboard is like to drive, and an ability to be smooth, gentle on brakes and tyres, will pay dividends. I for one am convinced that Hamilton is an out and out faster driver than Button, but Button has a mechanical sympathy and a smooth, silky style, reminiscent of Prost or De Angelis. Will Hamilton's improvisational aggression prove too much for the tyres with a full fuel load aboard? Another factor is that Button is coming in, not as a man who won a title five years back like Hill did, but as the current, reigning World Champion, carrying the Number 1 on his car. Among sportsmen competing at this level, it really shouldn't make a difference, but all the same, the extra self-assurance and confidence that comes from knowing that, right now, you are the World Number 1, maybe, just maybe, it can be enough to unsettle Hamilton, to leave him wondering whether he's still Mclaren's number one man. It was interesting to see veteran F1 journalist Maurice Hamilton remark on his twitter feed that Button looked much more comfortable and at home on the stage at the launch of the MP4-25 than Hamilton, and Joe Saward passed on the comment of one reader of his blog that "the body language of Hamilton and Button was interesting...there's no love lost between those two..." Another leap - it's just possible that might have a negative impact on his driving, unsettle him, lead him to over-drive as he did at Silverstone in qualifying in 2008 when Kovalainen, just for once, appeared to have the upper hand. But out of the car, or more to the point, in his post-F1 career as a team owner, sponsor's 'representative' and pundit, I never warmed to him. To me, he came across as hectoring, self impo0rtant and someone who had played a part in the sport's becoming more corporate, more sanitised. I've never met the man, though, and to judge him solely by his public persona is being more than a little unfair. Nonetheless, it was with some ambivalence that I picked up his mammoth 500+ page autobiography, Winning is not enough. Stewart's Tyrrell 001 - the car in which he won his first World title. The book left me with a somewhat revised, and perhaps more positive opinion of Stewart the man. Reading his account of growing up, the son of a garage owner in a small conservative Scottish town in the early 1950s, it becomes clear that he's very much a product of his time and his place. A fastidious, serious-minded and honest man, from a culture which believed in the virtues of hard work, of being careful with money, of not taking unnecessary chances. His account of his early struggles with dyslexia, and of his later work to encourage the UK and Scottish Governments to do more to assist children with the condition left me with a newfound respect for the man - it is hard to imagine many of today's pampered sportsmen - racing drivers or otherwise - being prepared to put in the time and effort required to influence Government policy. The problem I had was not so much with Stewart the man, but with the book. Fundamentally, people will pick it up because Jackie Stewart is a triple Formula 1 World Champion, a winner of 27 Grands Prix, who later went on to establish his own team with his son, which itself went on to win the German Grand Prix of 1999 before he sold up to Ford. Yet his racing career takes up, I think, less than a third of the book. There's some good stuff lurking in this book though. A paean to the Tyrrell 003, the car with which Stewart won 8 Grands Prix and the 1971 World title, and arguably the most successful individual chassis ever produced in F1. 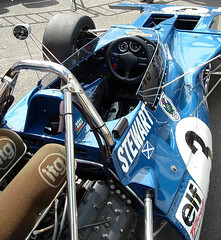 A moving tribute to his 1973 team mate Francois Cevert, who was killed in practice for the final race of that season at Watkins Glen is just one illustration of quite how much more dangerous motorsport was in Stewart's day. He was one of many of Stewart's contemporaries - Clark, Mclaren, Rindt, Siffert and many more besides, who died at the wheel. For all that Denis Jenkinson never entirely forgave him for it, Stewart deserves much credit for his single-minded drive to improve safety standards in the sport and probably there are not a few drivers who would not be alive today but for his work. Unfortunately, there's not nearly as much detail about his racing career as I would have liked to have seen. The 1968 and 1972 seasons get only a few dismissive lines - which in a book of more than 500 pages, seems hard to justify. Especially when he's quite happy to dedicate more than 20 pages to a meeting with King Hussein of Jordan, and a whole chapter to his pet dogs. There are aspects of his post-F1 career I would have liked to know more about though. The establishment of Stewart F1, the last real independent Grand Prix team to emerge before the manufacturer teams took over at the turn of the century, was an incredible achievement. That, together with his son, Paul, he created a team which won a race in only its third season and did so without ever going into debt is, in the context of the litany of expensive disasters that is the history of new F1 teams over the last 30 years, scarcely credible. And yet there's only a fairly brief potted account of how he actually did it. His reluctance to provide more than a summary of his time as BRDC president is more understandable. As he himself remarks, that chapter of his life really needs a book in itself, and given some of those involved, a veritable phalanx of lawyers to go over it prior to publication. He makes a spirited case for the Government lending financial support to the British Grand Prix, though in the end, I remain unconvinced, and left wondering if he fully appreciates how politically difficult it would be to pour taxpayers' money into CVC's coffers, no matter how many jobs the race might ultimately sustain. Perhaps it is Jackie Stewart's very success, the sense of a life well lived, which is the downfall of this book. I was struck by how much more interesting the last racing biography I read, Tommy Byrne's Crashed and Byrned, was - but perhaps that is only because the reasons for Byrne's ultimate failure at the highest level of the sport make a more intriguing tale than Stewart's success. In the end, while I didn't dislike the book as such, I can't really recommend it wholeheartedly either. If you're a huge Jackie Stewart fan, there's probably enough to hold your interest, but if you're looking for a racing biography, there are better books out there. Aside from the aforementioned Crashed and Byrned, Niki Lauda's biography, To Hell and Back, is similarly comprehensive, in covering his life outside racing, but, perhaps because Lauda was always a more outspoken, less polite man, its a more interesting read. And that's the problem with this book. Stewart, a man who settled easily into corporate life after his retirement, is not a man to dish the dirt, to tell untold stories. And in a man, that is perhaps admirable, but in an autobiographer, it left me feeling a little short-changed. Last weekend I went down to Birmingham for the Autosport International Racing Show for the first time in twenty or so years. Its heavily promoted through Autosport, who make it out to be something not to be missed by any real race fan, though this is hardly surprising given that it is organised by the 'exhibitions' wing of Haymarket Publications. But the fundamental reason I've not bothered paying a visit in a very long time us that I couldn't work up much enthusiasm for what is essentially a trade fair with a few celebrity guest appearances thrown in. Of course, its a motorsport trade fair, so it's more my cup of tea than a show for the farming trade might be, but as someone not involved in the industry, I was never that convinced of its merit as a public entertainment event. I'm not alone. There was an article over at Sidepodcast last week in which Mr C explained why they weren't bothering this year, and to judge by the comments left on the article, it appears there's a fair degree of scepticism about the value of the event for people like myself - race fans, with no intention right now of hopping the fence and becoming competitors. Nonetheless, as I was in Birmingham for the weekend anyway, and a couple of old friends were dropping by the event as a break from their house-hunting mission in the city, I thought it worth paying a visit. Two things struck me instantly on arrival. The first was that, at nearly £30 for basic admission, it's on the pricey side. That's more than I paid for to see the BTCC at Knockhill - and all for an event that doesn't feature any actual racing - the more so as they'd sold out of tickets for the Live Action Arena by the time I got there. The second thing that hit me was that the venue - the NEC, is absolutely huge - it has the cavernous feel of a vast aircraft hangar and is much bigger than I remember it being when I last went as a 12 year old child. Still, as the selling out of the 4,700 seater arena shows demonstrates, it's a popular event with the fans. I'm sure it helped that world champion Jenson Button was putting in an appearance, and yes, there's not a lot else happening in the motorsport world at this time of year, but all the same, I was surprised just how busy the place was. Perhaps, in this modern age in which Formula 1 is so uptight about letting ordinary fans get anywhere near the cars, it was simply the chance to see the cars up close. 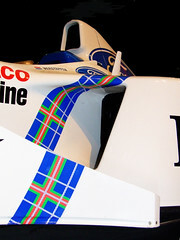 F1 Racing Magazine's stand had succeeded in collecting examples of all ten of 2009's F1 cars to display. That said, it's hard to ignore the fact that, if you're not in the market for a racing car yourself, there isn't much to do at the show besides gawp at the machinery. There was some seriously tasty machinery on display with Lotuses of various vintages being among the highlights. Ronnie Peterson's Lotus 72, as fine a racing car as ever there was made, was joined by a Jim Clark Lotus F2 car, Martin Donnelly's 1990 Lotus-Lamborghini (which despite the vile yellow livery, looked rather better than it went) and Mario Andretti's 1978 title winning machine. There was quite a collection of rally cars to ogle too - from the elegant Lancia 037 to the brutal looking Metro 6R4, with plenty of more recent machinery on show too - including the title winning Subarus of both of Britain's late World Rally Champions, Richard Burns and Colin McRae. And, if, like me, you have a taste for curios and oddities, there was a red GTP Nissan Group C car, a Lotus Carlton and a fair smattering of stock cars and drag racers hidden away at one end of the vast hall. To be fair, staring at parked cars wasn't quite all there was to do at the show. The Autosport Stand did a fine job of interviewing as many people as they could get hold of, and Martin Brundle's observations on the upcoming F1 season were well worth catching, even if his racing-driver son, who was sat alongside him, didn't seem to know quite what to do with himself. Richard Noble enthused on the subject of his plan to break the 1000mph speed barrier, and Oliver Gavin and Johnny Mowlem talked about their year in sports car racing. Though, as it happens, you didn't have to be there, because Autosport have kindly uploaded the interviews to Youtube. People with a lot more money to spare than I have could even buy a historic racing car. Coys were auctioning off assorted exotica on the Saturday afternoon and the friends I had met up with were keen to watch because, in amongst the Ferrari sportscars and Surtees F2 cars, was a Mark 1 Capri very much like the one that they have slowly rotting in a garage, and they were intently interested to see how much it might be worth if they ever got around to restoring it. Those with considerably more patience and willingness to stand in line than I had could also queue up to drive assorted racing simulators - the most impressive of which involved a six-poster rig which threw its 'passengers' around quite violently as they drove a Ferrari F430 around a virtual Elkhart Lake. Assuming you're reading this from somewhere in the Northern Hemisphere, you'll probably be as fed up as I am by now of the unexpectedly wintry winter we've been having. The coldest I can recall, though those some of the older faces in my office assure me that it's not yet up with the one they experienced in 1963. Any which way, I've certainly tired of sliding around on ice and pushing my way through slushy streets of late. Looking at the snow covered road outside my flat this morning, though, I was struck by a possible silver lining. If the weather keeps this up, at least there should be no shortage of snow in the north of Sweden when the World Rally Championship kicks off in 3 weeks time. I was once a great fan of the WRC, and did all I could to catch every round, but in more recent times, I've struggled to work up much enthusiasm for a championship which always seems to boil down to a Finn in a Ford forlornly trying, and failing, to stop the mighty Sebastien Loeb/Citroen juggernaut, with everyone else no more than bit part players. Remember when Makinen, McRae, Gronholm, Burns, Sainz, Panizzi and Solberg were all fighting it out for wins in Mitsubishis, Peugeots, Fords and Subarus? The been a shadow of its former self for much of the last decade, and if I were being pessimistic, I would say that there are striking parallels between the WRC in the second half of the decade and the Champ Car World Series in its dying days. Maybe it's just new decade optimism, but I think there may at last be signs that the world of rallying may not be heading the same way after all. For one thing, the entry for the first round in Sweden looks quite an appetising prospect. Marcus Gronholm will be making a return in a semi-works Focus, and must surely be at least an outside contender for victory, even if he is a few years older than Michael Schumacher and a couple of years out of full time competition. All the signs are that the Petter Solberg World Rally Team will be back too, with a Citroen C4 WRC which should enable him to pose rather more of a threat to the works teams than he was able to do with a four year old Xsara last year. Even better, if it turns out to be true, is the rumour that he'll be running a two-car squad with Per-Gunnar Andersson in the second car. Andersson has been one of the most inexplicably overlooked drivers of the decade. He won the Junior World Rally Championship twice, generally outpaced Toni Gardemeister in his single season with the hapless Suzuki SX4 WRC, and scored stage wins with an elderly Skoda Fabia in Norway last year. Why Ford and Citroen have persisted with Sordo and Latvala when he is available mystifies me. To be fair, Latvala, at least, has always had pace, though he has thus far been unable to tame a wild streak which has seen him put his car into the scenery far too often to be a serious title contender. It's just possible, therefore, that 2010 might be the year in which he finally gets his wild streak under control and becomes a real title contender. If Ford let him... The trouble with there being only two teams in contention for the WRC is that there is a strong incentive for each to back one driver at the expense of the other to maximise their chances of claiming the title. At Citroen, that's pretty irrelevant, because Dani Sordo has rarely if ever looked capable of getting on terms with Loeb anyway, except perhaps on tarmac. At Ford, though, Latvala has often looked quicker, if much less consistent, than Hirvonen. And at Citroen this year, it is perhaps possible that Sebastien Ogier, back with the Junior team for a second season, might be able to challenge for victory where Sordo has thus far not been able to. The appearance of Kimi Raikkonen just might be the acme that the WRC has been looking for in terms of publicity. If the Finn's presence encourages more people to pay attention to the world of rallying, and so makes it easier to attract publicity and sponsors to the series, then perhaps it will prove to be the launch pad for the series' revival. Even if it doesn't, it will be interesting to see how he goes. He was more than decently quick in his run in an s2000 Fiat Punto Abarth on the 1000 Lakes Rally last year, but there wasn't really strength in depth in the S2000 class, so it's hard to know how much that really means. Certainly, it will be interesting to see how the first front-running F1 driver in the modern era ever to switch full-time, at the peak of his career, from Grands Prix to the WRC. Perhaps the most intriguing two way competition, though, will be between Raikkonen and 2-wheel World Champion, Valentino Rossi, who is expected to take part in the Rally Mexico in a Ford. While there is little chance that either man will much trouble Sebastien Loeb, it will nonetheless be interesting to see which of the two of them, both of whom have some previous rally experience, will prove quicker. It's a bit like a tennis match between the World badminton and squash champions. You wouldn't expect either to give Roger Federer any trouble, but it's an intriguing contest. On the subject of people coming to the WRC from elsewhere, I think the news that US rally star, snow boarder and shoe magnate, Ken Block will be competing with the 'Monster Energy' Rally team is another move which, it is to be hoped, might help to bring the WRC to a wider audience than it has been able to attract for some time. I doubt that he'll be able to threaten the front-runners - the American Rally Championship is not exactly a hotbed of competition, but I'd hope he might at least embarrass some of the pay-drivers who have been running in the Stobart Ford and Citroen Junior teams, should any of them come back again this year. Of course, there is still the problem that there are only two works teams in the WRC at present - nobody driving anything other than a Ford or a Citroen is going to stand the remotest chance of being competitive. The late-period Subaru Imprezas, the Peugeot 307 Coupe and the Skoda Fabia WRC were not all that competitive when they were first rallied, and a privately entered example nowadays stands little chance of troubling the front-runners, no matter how talented the man at the wheel. There are glimmers of hope on the horizon though. Prodrive, it is widely rumoured, are due to announce a programme involving a WRC version of the Mini, while Volkswagen have been sniffing around the edges of the WRC for some years. That said, in order for any of that to happen, some coherence about the future direction of the sport is really needed. Is it S2000 with turbochargers? 1.6 litre turbocharged cars? A simplified version of the current WRC ruleset? 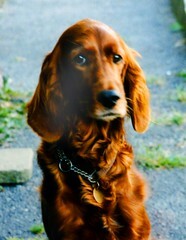 Or something else entirely? If I ruled the world, I'd go with Dave Evan of Autosport's suggestion of rear wheel drive cars with big V6 normally aspirated engines, but I'm not holding my breath. On the plus side, though, some recent lunacy has been put right. The confusing, unnecessary and orthographically dubious 'Superally' rules have gone, and the FIA have got rid of maximum stage length rules and allowed the reintroduction of night stages. The S2000 World Rally Cup is running to more sensible rules, with teams allowed to pick and choose their 7 rallies to suit their geographic base (though one must be outside Europe) and the category split away from the Production World Rally Championship. The WRC may not be out of the woods yet, but if BMW-Mini and Volkswagen come in, and Ford and Citroen stay, it just might be beginning to turn the corner at last. PS - I'll be in Birmingham at the weekend for Alianora's Kart competition and thought I'd take the chance to drop in on the Autosport International show on Saturday afternoon while I'm down there. If anyone fancies meeting up, drop me an email at patrick [at] footle [dot] com.